In a skillet, melt butter with olive oil over low heat. When butter is melted, add minced garlic. 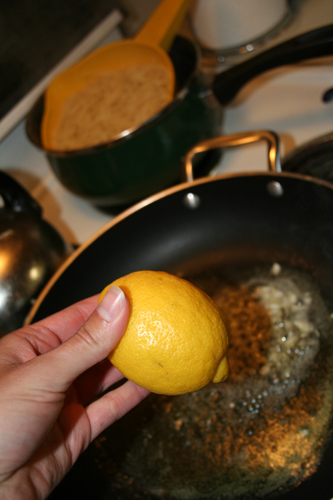 Squeeze lemon juice into the pan. Turn off heat. Add sour cream and stir mixture together. 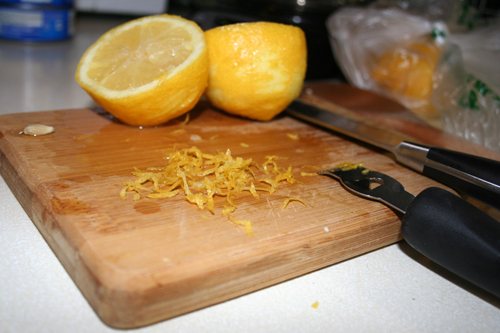 Add lemon zest and salt to taste. 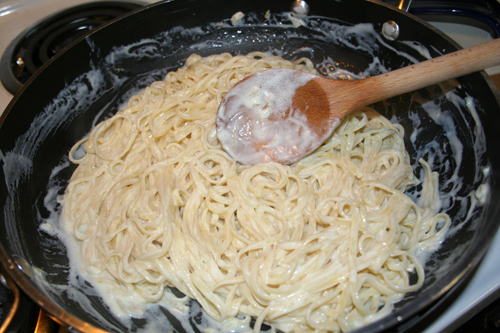 Pour mixture over drained spaghetti and stir together, then pour spaghetti into an oven safe dish. When you remove it from the oven, squeeze a little more lemon juice over the top. 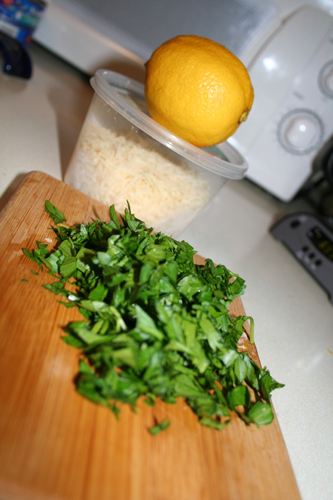 Top generously with Parmesan cheese, then chopped parsley. Give it a final squeeze of lemon juice at the end. 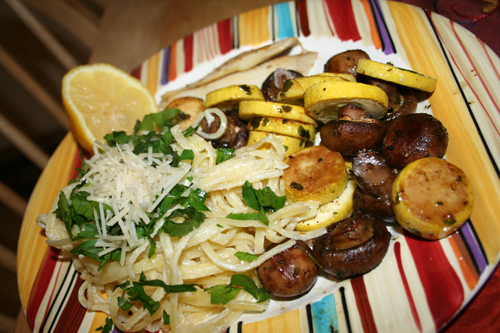 Served as a side dish alongside tilapia and roasted mushrooms and squash, but it’s also hearty enough to stand alone!